Can you imagine the impact of this mass of tourists on the historic part of Venice, which is inhabited by only 60 thousands people? It may really tackle its fragile balance. Venice is not only an open air museum, but also the city hosting the political power and the siege of Veneto Region, home to 5 million people, as well as Tribunals and Courts, industries and factories. Venice is a living city and it must remain like that. The municipality listed a series of forbidden things and a series of suggested behaviours. We don’t want to provide you with a long boring list, but just give you some advices in order to not be hated by venetians. Don’t stop on bridges just to take pictures blocking the whole circulation, it is really annoying to people rushing to school or work. If you walk slow, walk single line. 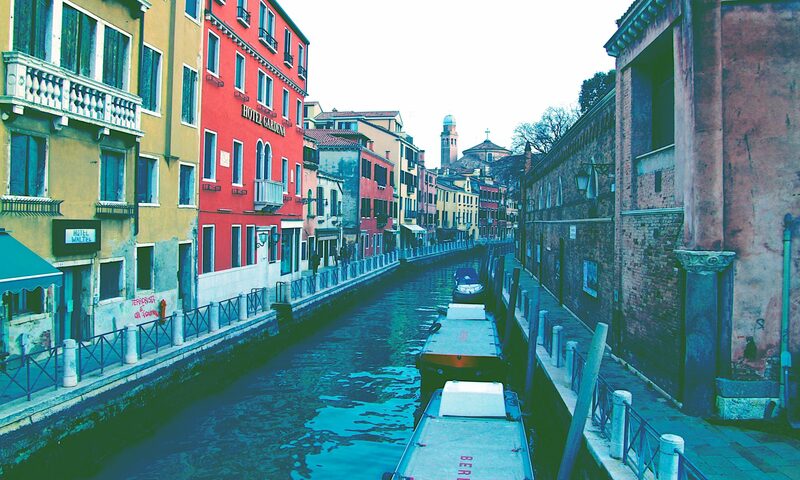 Let people pass you in the narrow streets of Venice. Avoid main touristic routes by following our blog! Don’t be loud at night, Venetians use to throw water to loud tourists. This is just a short list, therefore avoid every behavior that may be irrespective of this wonderful city. Please, help us to support and sustain a responsible tourism. Don’t waste Venice.